TODAY IS A GIFT: Where are you now? Lindsay made many languages videos and they're very nice! Now she's also learning Japanese, so her recent posts would be very useful for you guys!! Last week my Taiwanese friend took me to a short trip. She's really good at speaking Japanese, so I don't have any chance to show her my brilliant Chinese skill. ...Yup, I'm kidding! !My Chinese level is still far from brilliant. Anyway, we had a nice trip. On our way home, I got a mail from my husband. By the way, we bought our mobiles in Taiwan last year, which were very cheep but old fashioned, and we can't type Japanese letters with it. 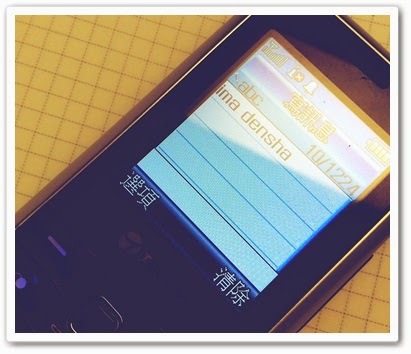 My husband can't speak Chinese, to say nothing of typing it. So he always types in Romaji (Japanese in Roman alphabet). I also replied to it in Romaji, like the picture below. My friend saw this message and asked me what it means. How about you? Did you get its meaning immediately, or you don't have any ideas what it says? You got it now? =) 今/ima/ means "now", and 電車/densha/ is "train". Literally, it says "now train"!! And what I wanted to say was "I'm on the train now." Does it sound strange or incomplete to you? But we really often speak like this. 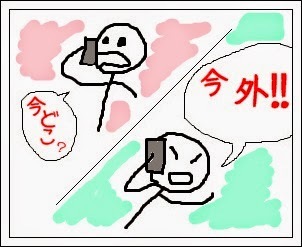 When we talk with friends, we never say 今あなたはどこにいますか？ First, we rarely say あなた (you). 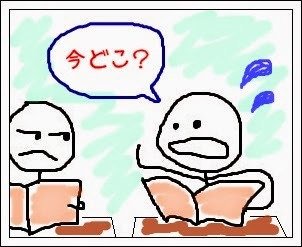 Second, it sounds too standoffish to use です/ます form when we talk to friends. I'll say it again. We usually omit the subject of the sentence if it's obvious. The subject of the sentences could be "I" "you" "he" or "it". It depends. 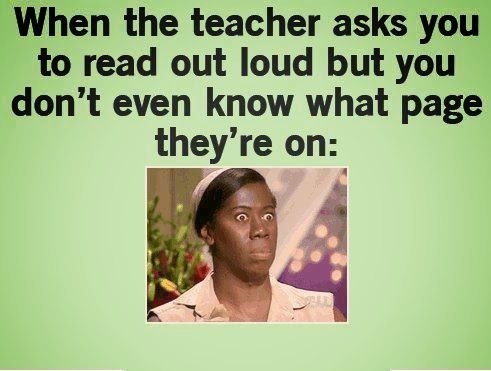 For example, I often asked my classmate what page we're on. (Um.. yeah, I wasn't a kind of good student.) It's also 今どこ？ in Japanese. It can be translated as "where are we?" or "where is it?". I've written about several rules about Japanese particles, and it might confuse you a bit, but you don't have to care too much on them when you speak! Thank goodness!! 私はステーキが好きです (I like stakes) is a perfect sentence, but 私ステーキ好き is also fine. It doesn't sound strange to me unless it's in a formal situation or on the test. In the same way, "I student" is grammatically wrong in English, but it's not in Japanese. 私、学生（がくせい） isn't unnatural. Well, did I write it before? I just wanted to say thanks for your answer to my question in last post. I understand better now. by the way "ima densha" is completely clear. in fact lots of Iranians also type with English letters in their text messages, like "alan kojayi?" oh and really funny drawings! I always enjoy reading your questions. It's very interesting to me. Japanese can be really confusing, specially sometimes in long sentences with some relative clauses in them. Uh huh, I understand. I also find it difficult to read a long sentence in foreign language. It might not be so long for native speakers, though. I suppose you're already over upper-mediate level in Japanese, right? :) You'll be get used to reading long sentences soon, I guess.